Forget about the usual clothes from the 70s, all you need to get your groot on is this t-shirt. Groot is growing up again in the Guardians of the Galaxy 2 movie, he WILL make you groot to the sound of the awesome mix tape vol.2. This Get Your Groot On t-shirt is 100% cotton. Il s'agit d'un produit sous licence officielle Guardians fo the galaxy. 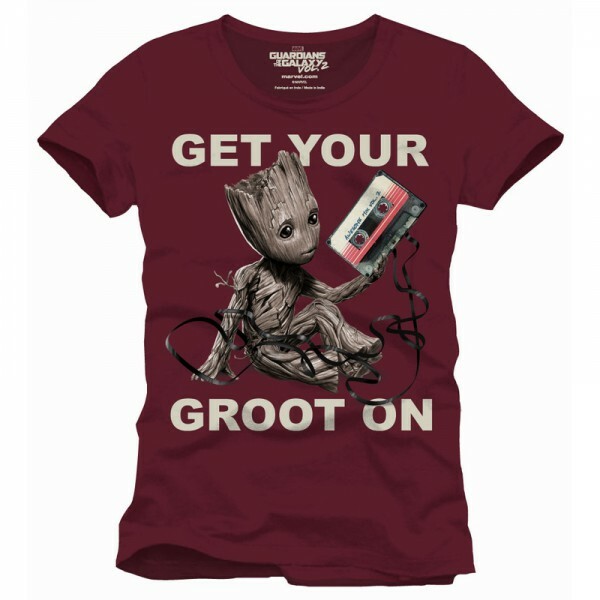 Si vous choisissez de recevoir votre "T-shirt Get Your Groot On" via Lettre Suivi, les frais de ports seront seulement de 2,95 € ! Votre T-shirt Get Your Groot On - Guardians of the Galaxy 2 est en stock !